Welcome to the Jersey Shore Erub webpage. 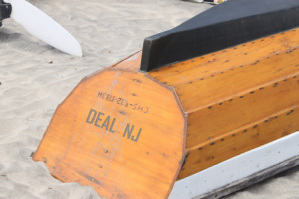 The Erub has been servicing the communities of Deal, Oakhurst, Elberon, Allenhurst and Long Branch since 1999. 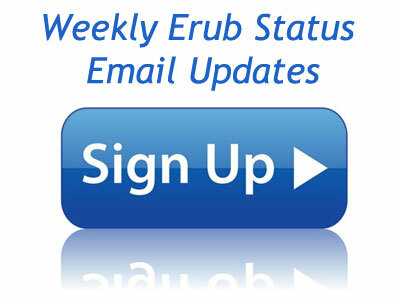 Above is the status of the Erub for this week, We invite you to have a look around for useful information about the Erub such as a map of the Erub coverage and its history. Effective July 4, 2014, the Erub was expanded northward on Ocean Avenue beyond Park Avenue, up to and including Lake Takanassee--but NOT INCLUDING THE IMPERIAL HOUSE. As you move west from Ocean Avenue, the erub includes the street just north of the Lake (North Lake Drive) but does not include the land north of that street or Greens Avenue (parallel to Ocean Avenue) and beyond. PLEASE USE THE FOLLOWING LINK TO GO ON OUR WEBSITE AND TO CONSULT OUR INTERACTIVE MAP, WHERE YOU CAN FOCUS IN ON THE ERUB'S EXACT BOUNDARIES: http://www.njerub.org/map.html. We wish you and your family a truly Shabbat Shalom! We are pleased to announce that once again this summer, pending inspection each and every week, the erub will be up and operational. One year after a major reconstruction following Super storm Sandy, the erub has served the community without interruption throughout the winter. We are proud that with your generous support we have been able to re-establish the erub, an institution founded and bestowed upon our community by Jack Adjmi, a"h, a true visionary. As we do each year, we now appeal to you to make your contribution to the Erub Fund. All of you have been so generous in the past & we cannot keep the Erub up without your help. What we raise over the next few weeks will enable us to inspect and maintain the erub throughout the next twelve months. This year we are selling weekly sponsorships of the Erub, to be broadcast for each upcoming week on our website and in our weekly text subscription service, at the rate of $1,800 per week. Other dedications, at greater and lesser amounts, are also available. 6/28/13 - The Erub website officially launched! 4/4/13 - The erub perimeter is scheduled to be examined once again on Sunday, April 7th to determine the progress of the reconstruction of local areas damaged by Hurricane Sandy. Please mark Jersey Shore Erub in the memo line of your check.